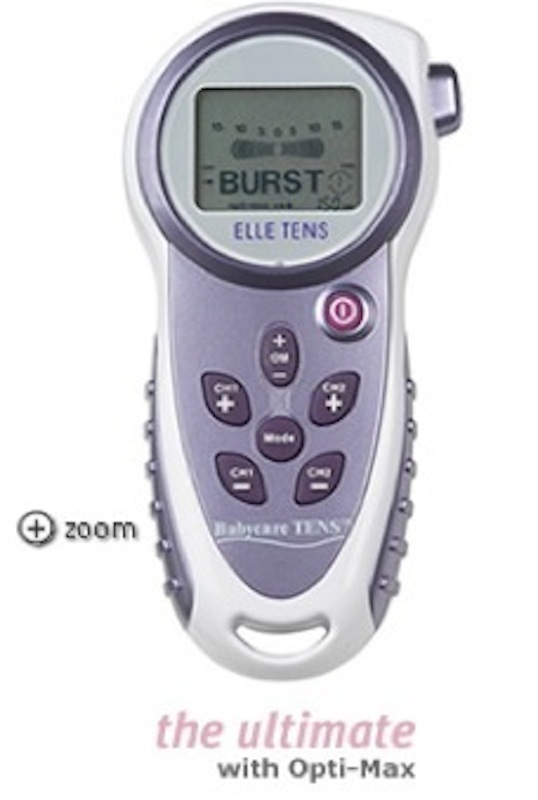 To buy an Elle TENS machine, just click on the link below. 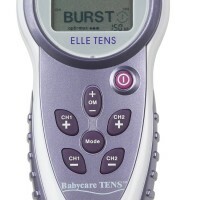 Australian Mums-to-be have been using the Elle TENS machine from Birth Partner for years now, so we know they are good! We receive lots of positive feedback from our mums, so we are sure you will love it too. The Elle TENS machine is so easy to use – all the settings are pre-set, so all you need to do is attach the electrode pads and turn it on. 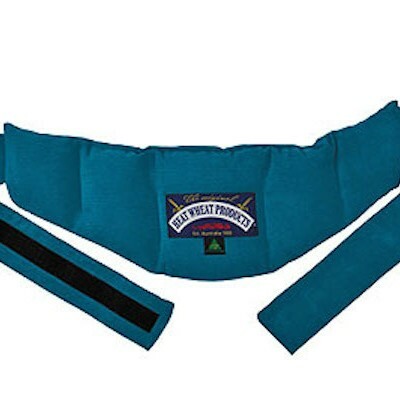 As your labour progresses, it is easy to increase the intensity, or decrease it with the touch of a button – this is just what you need when you are in labour. 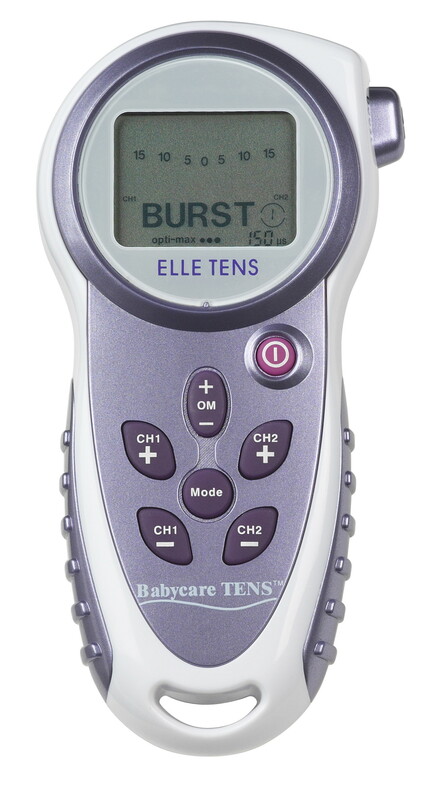 Elle TENS is the most popular choice for mums-to-be in the UK (where TENS is used in 1 out of 3 births) as it is specifically designed for easing your pain during childbirth, and it is quickly gaining popularity here in Australia too. 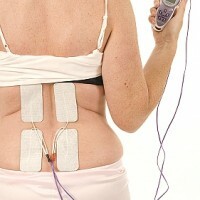 The Elle TENS machine is a safe, effective, drug-free method of pain relief that you don’t want to be without. 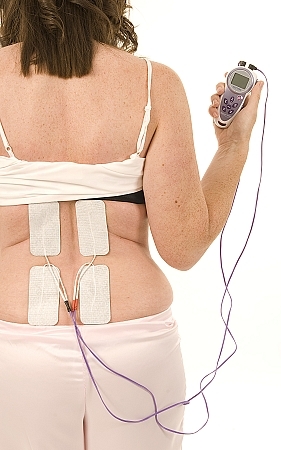 The Elle Labour TENS machine uses the latest Opti-Max technology. 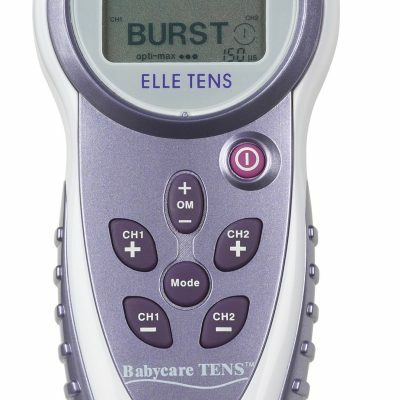 It is specifically designed as an obstetric TENS, so there is a Boost Button to help you during contractions, which is built-in to the Elle TENS machine, making it extremely easy to use. Using the Elle TENS is most effective if you attach it as soon as labour starts. It can then start helping to build your endorphin levels, ready for the next stage of labour. 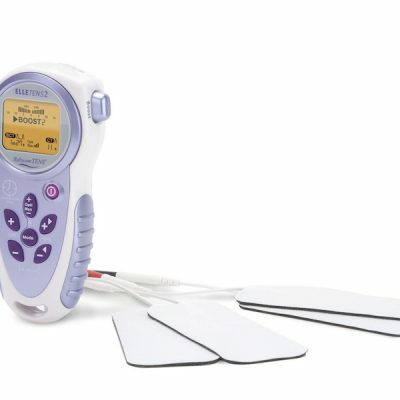 The Elle TENS machine can be used in conjunction with other forms of pain relief, including gas, but cannot be used in the bath or the shower. It won’t affect any monitoring equipment that your hospital may wish you to use. 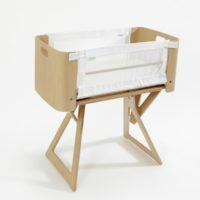 The Elle TENS is also available to hire from Birth Partner. Please speak to us about using our lay-by or payment plan options if this is what works best for you when you buy the Elle TENS machine. We also now have Afterpay available, so you can buy now and pay later. 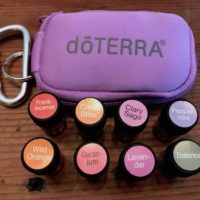 You may be eligible for a health fund rebate of up to 100% when you buy the Elle TENS, depending on your level of cover and eligibility. Please ask us for an invoice for your health fund if you would like to make a claim. 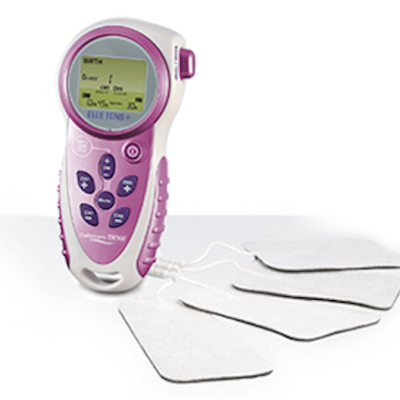 The Elle TENS is registered as a medical device with the Australian Therapeutic Goods Administration.